Explanation: Galactic or open star clusters are relatively young. These swarms of bright stars are born near the plane of the Milky Way, but their numbers steadily dwindle as cluster members are strewn through the Galaxy by gravitational interactions. 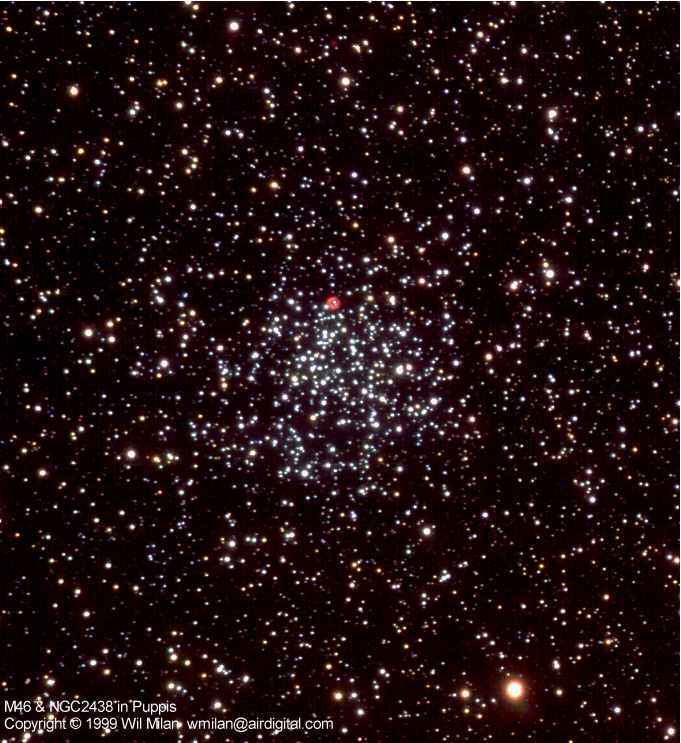 This bright open cluster, known as M46, is around 300 million years young and still contains a few hundred stars. Located about 5,000 light-years away toward the constellation Puppis, M46 is a familiar object to telescopic stargazers and also seems to contain a contradiction to its youthful status. The striking red patch of glowing gas above center in this lovely photograph is the planetary nebula NGC 2438 - a brief, final phase in the life of a solar-type star a few billion years old whose central reservoir of hydrogen fuel has been exhausted. 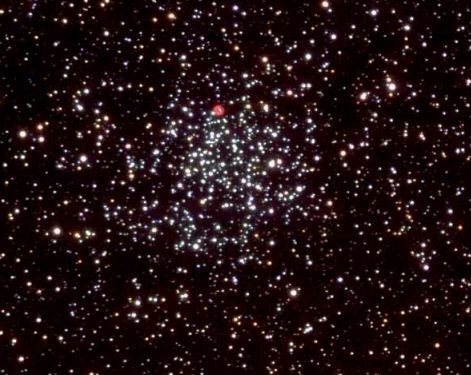 In fact, NGC 2438 is estimated to be only 3,000 light-years distant and moves at a different speed than M46 cluster members. It likely represents a foreground object, only by chance appearing along our line of sight to young M46.